﻿ Business Overview｜Pacific Industrial Co., Ltd. 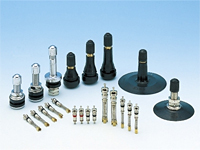 Since its foundation in 1930 as a venture business aimed at producing valve cores in Japan, Pacific Industrial Co., Ltd. has been growing as a manufacturer specialized in tire valves. Our share of tire valves and valve cores in the Japanese market is 95% and we enjoy more than 20% of world markets. 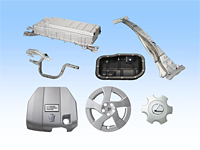 As a manufacturer specialized in utilizing advanced processing technology, we supply stamping and resin products for automobiles to Toyota Motors Co., Ltd. and other major automobile manufacturers. In response to globalization of the market, we have established our manufacturing operations in the U.S.A., Taiwan, South Korea, Thailand, China and Belgium, becoming a major contributor to the automobile industry around the world by utilizing our proven technologies gained over the 75 years of tradition since our foundation. 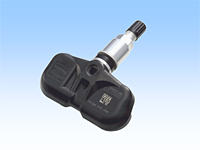 We developed the "tire pressure monitoring system (TPMS)" in 2001. Installation of these in vehicles has recently become mandatory under the laws in the United States, and our TPMS has been installed in vehicles since then. With its new core technology and highly advanced manufacturing capability, Pacific Industrial is aiming at becoming the "only one supplier" of unique products in the automotive industry. Pacific Industrial has established the PACIFIC brand with the world's No. 1 quality and technology, starting with our Valve Core and Tire Valve products. With 80 years of results and trust, we have been used by the major Japanese and international automobile and motorcycle companies, establishing our company as one of Japan's top manufacturers. In addition, we have dealt with the changing market conditions to create a global production and sales system across four foreign countries. Our entrepreneurial spirit is surely handed down, and the improvement of our brand power is a keystone of our company. Pacific Industrial is a comprehensive manufacturer of automobile presses and resin products, developing and producing automobile main bodies, functional parts such as hinges and battery cases, engine peripheral parts such as oil pans, as well as resin interior and exterior parts such as hubcaps and engine covers. Our strength is in our skill through the total process from design and development to production, continuing a fastidious tradition of manufacturing to meet our customers' needs for added value products. We concentrate on developing our production methods to be efficient and environmentally sound, meeting the trends of automobiles to be smaller, lighter, and less expensive. Our global production and sales system aims for continuous improvement in production technology such as molding based on our ideals of manufacturing. Pacific Industrial's sealing, pressure control, and flow control technology knowledge has been accumulated from our tire valve business, and adapted for refrigerant controls and engine fuel controls used in car and room air conditioners. We develop and produce all kinds of control valves, Inc.luding charge valves, release valves, and check valves. In addition, our technology is used for advanced forging and smithing, cutting work for compressor parts, and precision presses. We continue to work with our customers to develop and propose new technology from the design stage. The TMPS transmitter device was developed as a next generation value-added valve based on technology cultivated from our tire valve, control device, and electronics businesses. TMPS stands for Tire Pressure Monitoring System, and is a system that uses a sensor to alert the driver of irregularities in tire air pressure and temperature. Already mandatory in the United States, laws concerning mandatory use of this device are being considered in many countries due to concerns about automobile safety and global environmental conservation as well as fuel efficiency improvement. 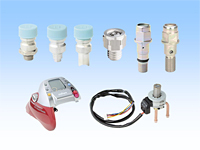 As Japan's only TPMS transmitter manufacturer, Pacific Industrial aims to create devices that are smaller, less expensive, and more reliable.